RUNS GREAT IN FAIR CONDITION, GOOD PROJECT VEHICLE!! GOOD OLD TRUCK, 4 SPEED, 350 CHEVY, GREAT WORK TRUCK, GOOD MILES, AND PLENTY OF LIFE LEFT IN THIS OLD TRUCK!!!!!! 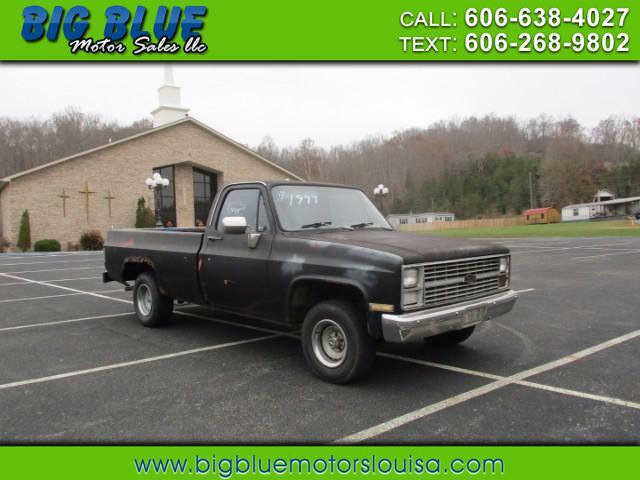 Message: Thought you might be interested in this 1983 Chevrolet 1/2 Ton Pickups.